Having any type of creepy crawly intruder in your Cincinnati home isn’t pleasant, but when they’re of the rodent variety it seems to kick things up a notch. Rodents are sneaky, smart, and can find their way into your home through the smallest gaps you can imagine. If you think that you might have a rodent problem in your home, check out the 6 tips below to see if you’re right. Rodents, especially mice, will bite their way into whatever food source they can find. If you see bite marks or holes in your food containers, pet food bags, or any other food source, there’s a pretty good chance you have a rodent issue on your hands. They may also leave crumbs and other debris behind. If you’re seeing these signs, it’s time to set out some traps or give your local pest control company a call. Rodents love to set up a nice and cozy spot to birth their babies. Check your attic for missing insulation or built up debris. They often use materials like shredded paper, fabric, and dry grass to build a soft nest. If you see any of this going on, you’ve likely got at least a few rats or mice running around. This is one of the things that makes a rodent infestation so gross to deal with. These pests can’t control their bowel movements or urination, so you may find the results all over your home. It’s especially common near food sources. As you are well aware, this can be incredibly unsanitary and dangerous to the health of you and your loved ones, so it’s essential that you sanitize thoroughly after you’ve located the problem. There is a very specific smell that rodents leave behind, and it’s especially evident in rooms that are often closed off. If you’ve noticed that certain areas of your home smell more musky than usual, you may have a rodent infestation. If you’re suspicious, call in a pest control tech. A trained professional will be able to recognize the smell. If you’ve been hearing scratching or the tip-tapping of little feet in your walls or on your ceiling, you’ve probably got a few guests of the rodent variety. This is often one of the first indicators that homeowners will notice, and it can also help you to narrow down the area where they’ve set up shop. Take advantage and focus your removal tactics on that particular area of your home. Of course, the number one indicator that you’ve got a rodent problem is if you see one running around your home! While spotting one tiny mouse doesn’t necessarily mean you have a full on infestation, in most cases you probably aren’t dealing with just one lone rodent. While you can certainly set out some traps and try to handle the issue on your own, this can be time consuming and it may be in your best interest to give the professionals a call. 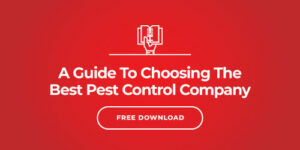 Trained pest control technicians are able to narrow down the area where your problem originated and to eradicate the issue quickly and painlessly. For your peace of mind and the health of your loved ones, dealing with the infestation immediately is crucial.